When it's time to break out the bubbly, include all your guests by giving them their own bottle! 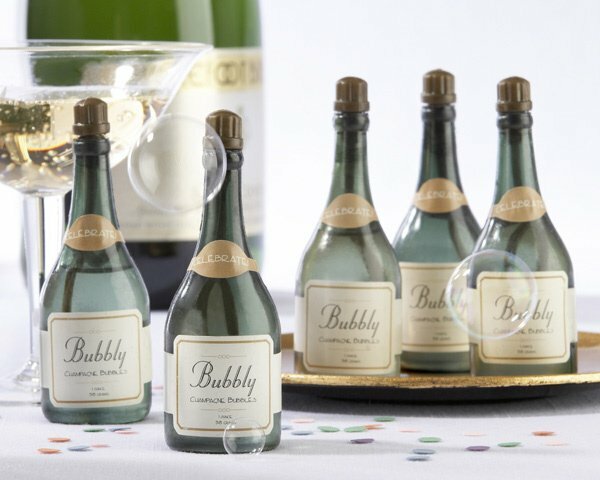 These miniature champagne bottles are filled with bubbles and will be a fun favor to include in your celebration! 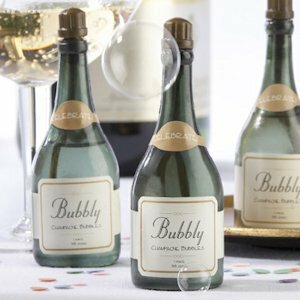 Each green plastic bottle features a tan label with the words "Bubbly Champagne Bubbles". The gold label around the neck reads "Celebrate!" Favors measure 3 3/4" by 1 1/4" and contains one ounce of bubbles. Sold in sets of 24.